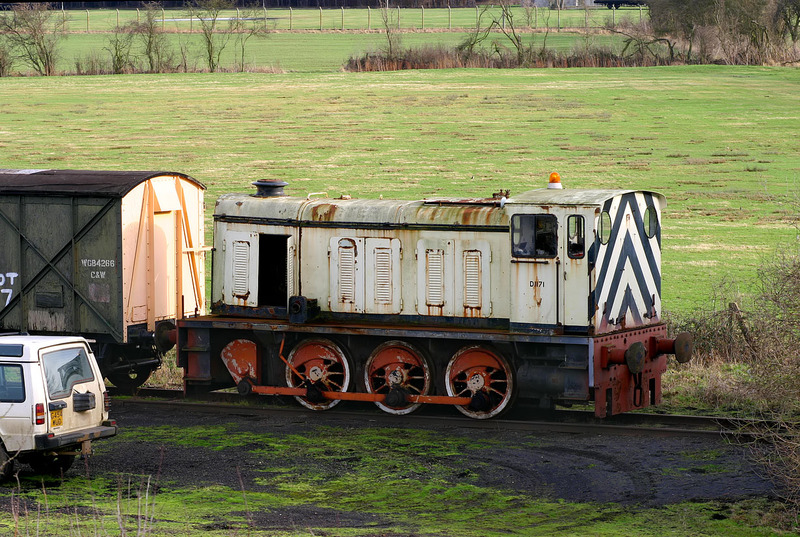 Hudswell Clarke 0-6-0 D1171 is pictured in a dilapidated state at Long Marston on 22 January 2008. This 1959 built shunter was formerly owned by the Port of Bristol Authority, and then was latterly employed by Western Fuels Ltd, who used it on the Whapping Wharf line in Bristol. At some point it acquired the name Western Pride, although judging by the state of it here, nobody has much pride in it anymore.